Beautiful and Very Fine Vintage Nain Persian Rug 51024, Knots Per Square Inch: 625, Country of Origin / Rug Type: Vintage Persian Rug, Circa Date: Late 20th Century – By defining a powerful yet subdued color palette, the viewer of this beautiful fine vintage Persian Nain rug is treated to crisp lines and beautiful details. 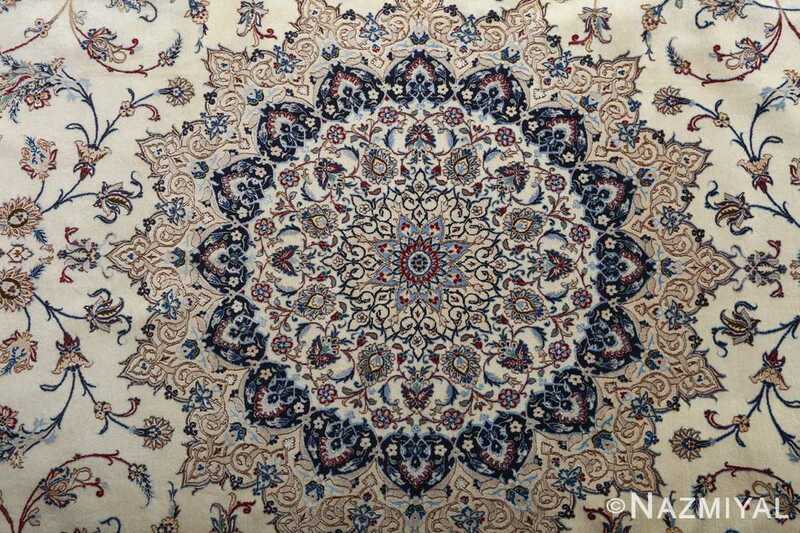 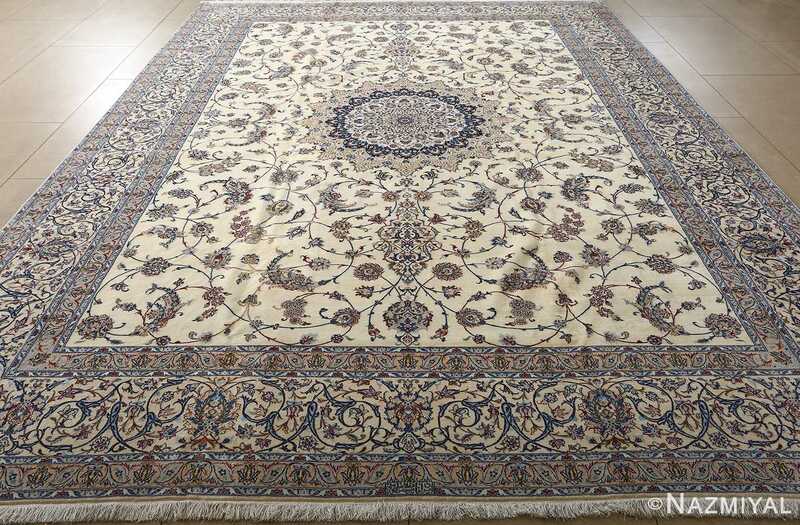 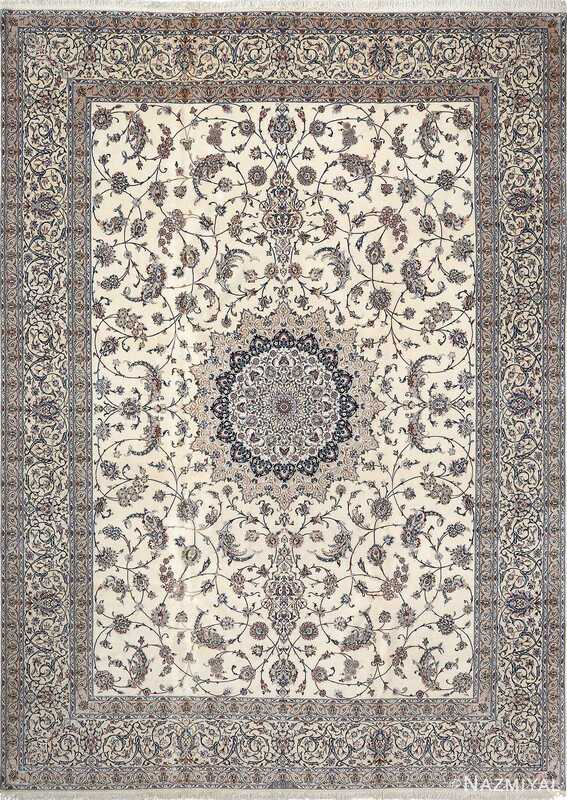 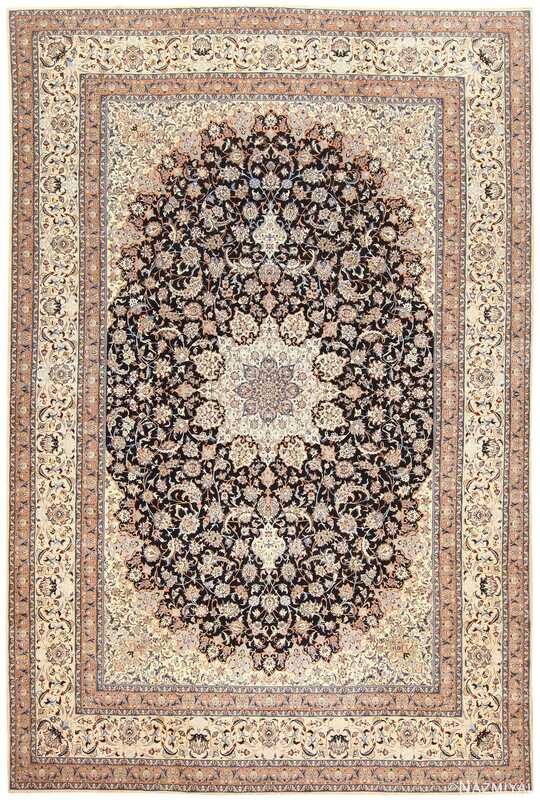 The elegant pale beige stand out flawlessly against the darker instances of gray and brown, creating a striking degree of contrast that skillfully attracts the viewer’s attention from one section of this fine vintage Persian rug to the next. 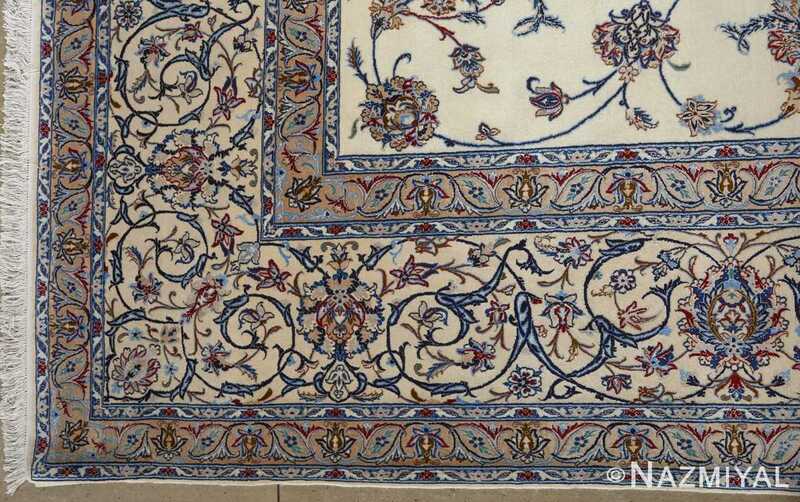 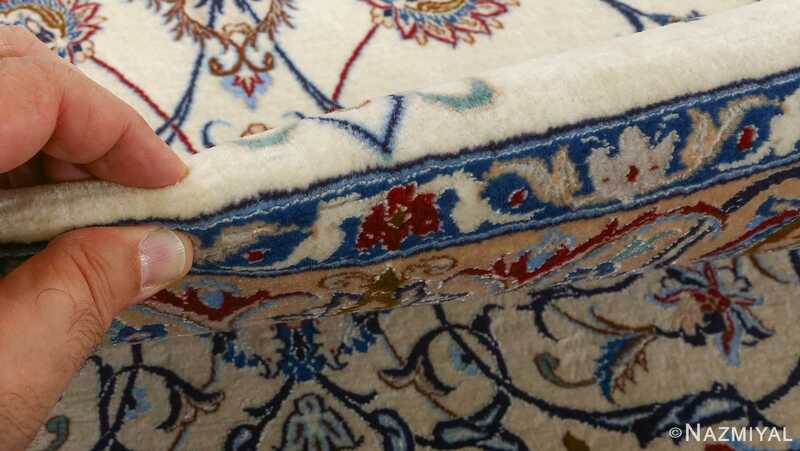 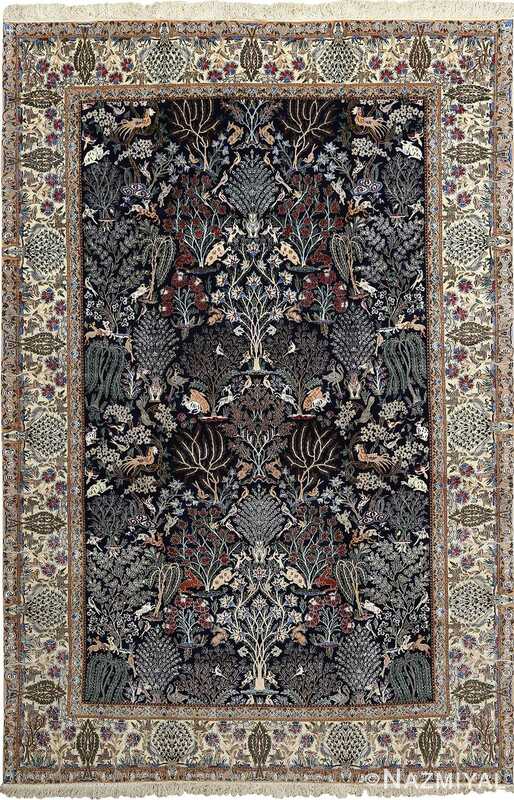 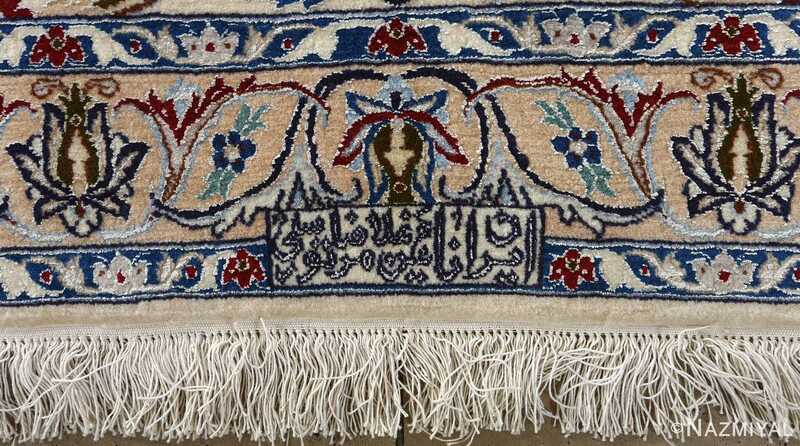 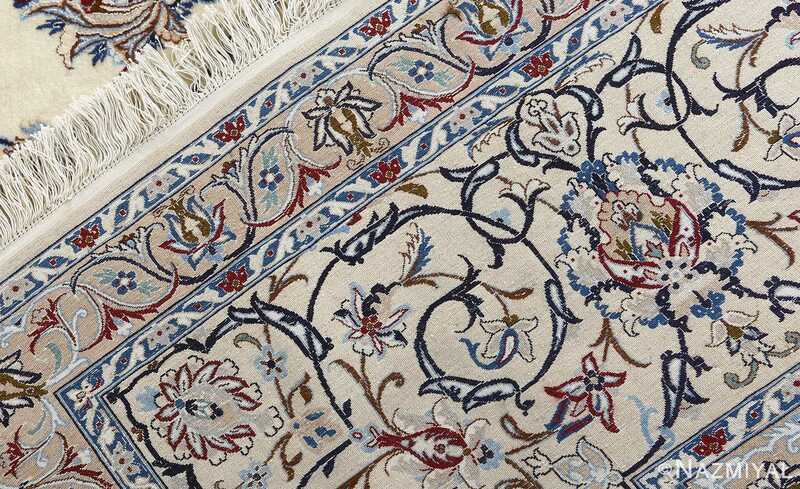 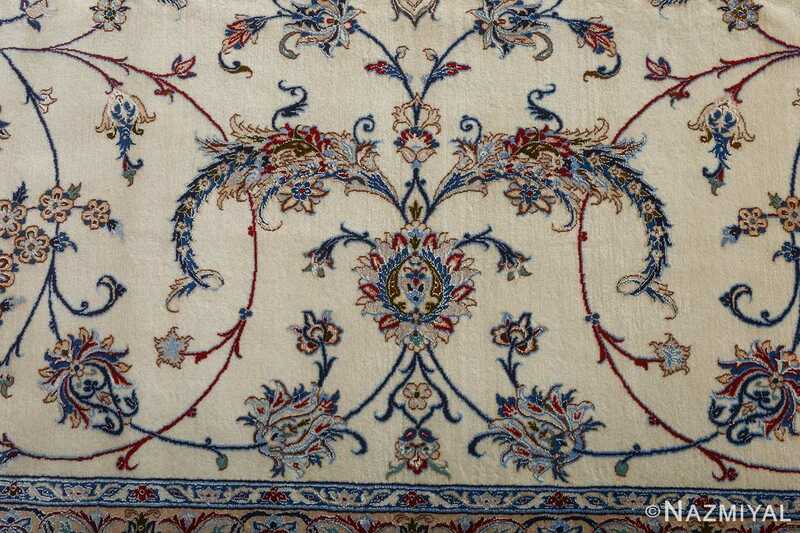 The strength of the colors allows the borders to gracefully lead into the heart of the rug. The largest of the borders is framed on both sides by slightly smaller borders, which make the transition to the center of the ivory color vintage rug much more unique. 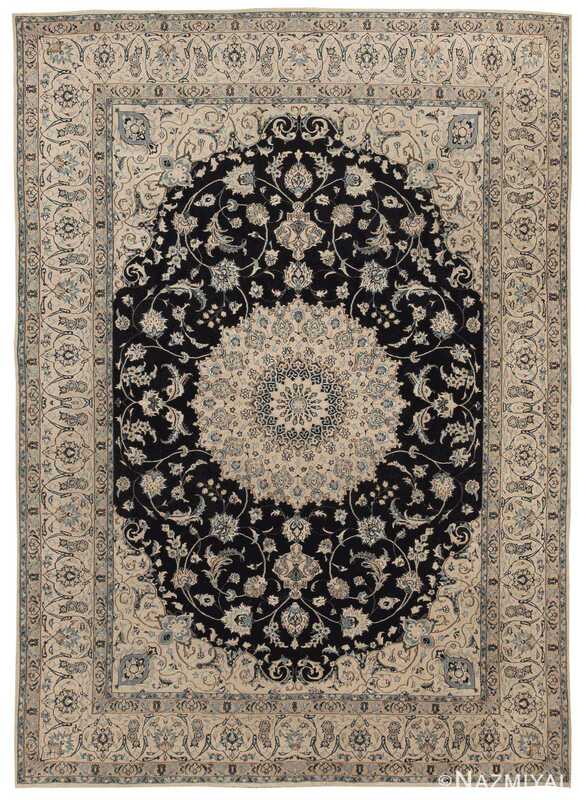 The round mandala at the very core of the rug acts as a grounding focal point for the elements throughout.